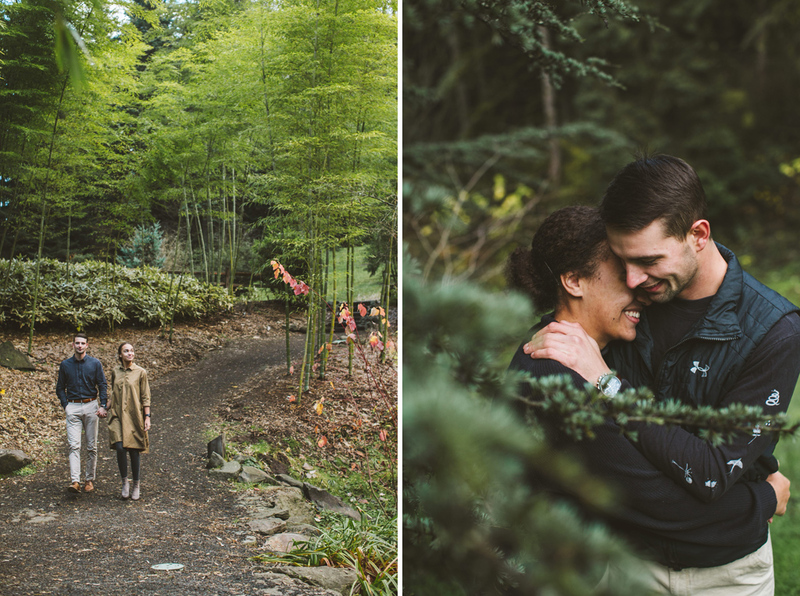 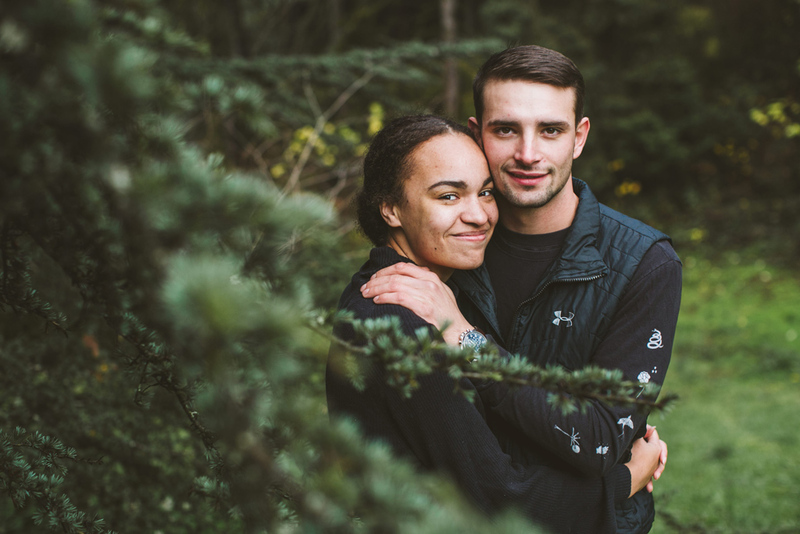 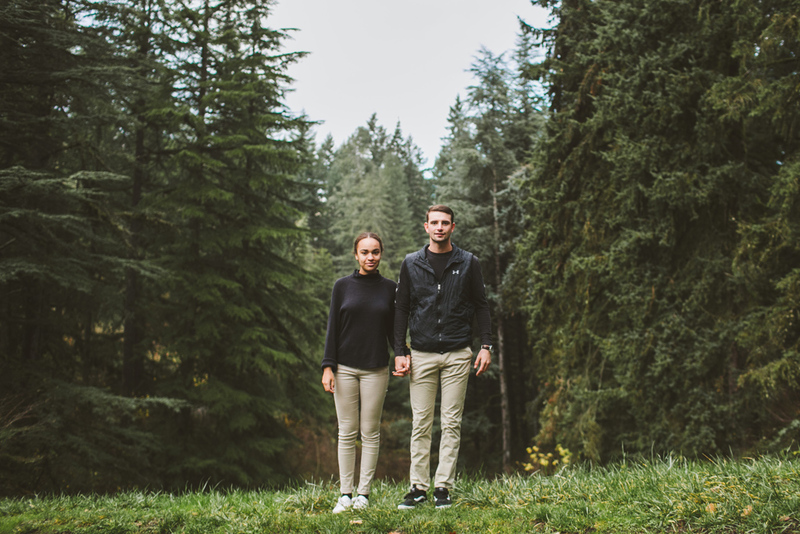 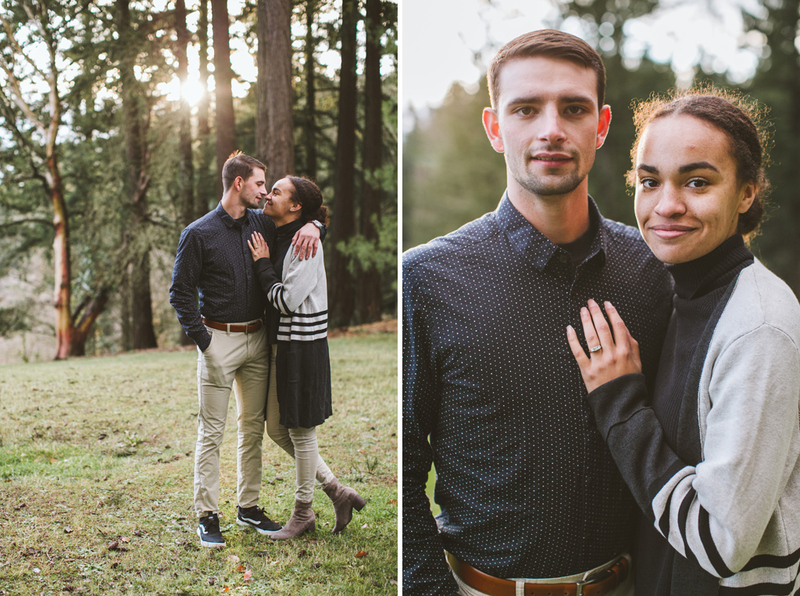 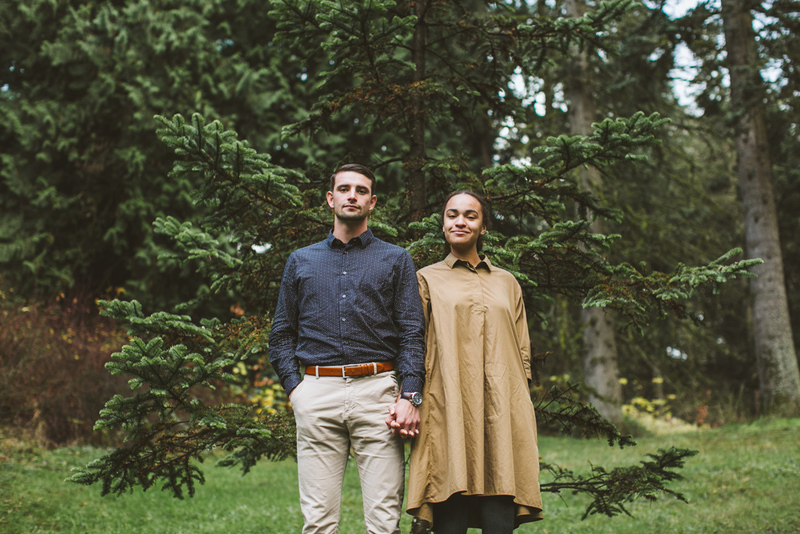 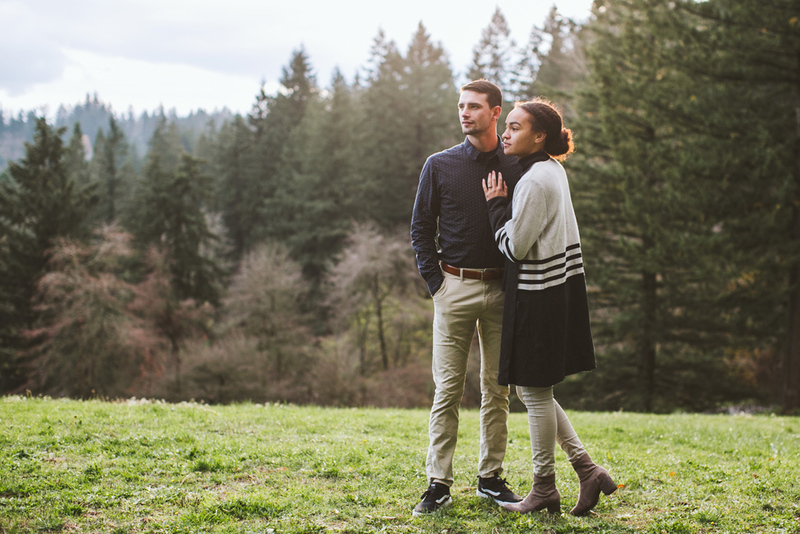 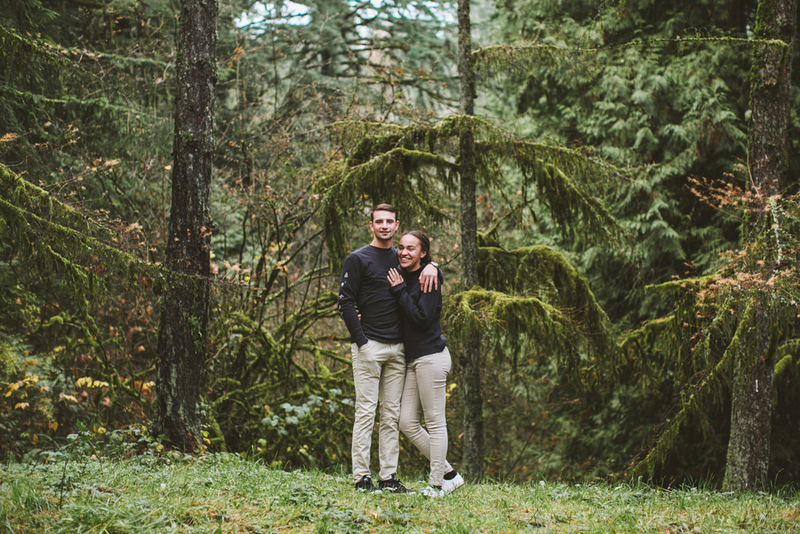 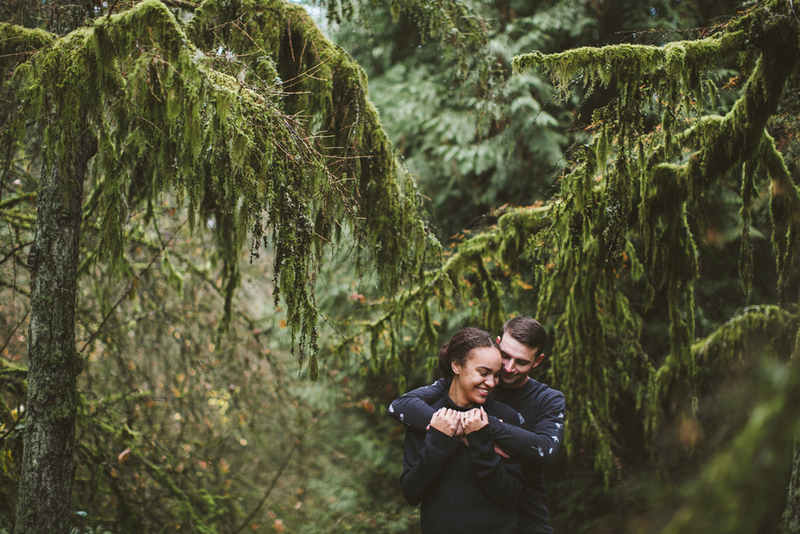 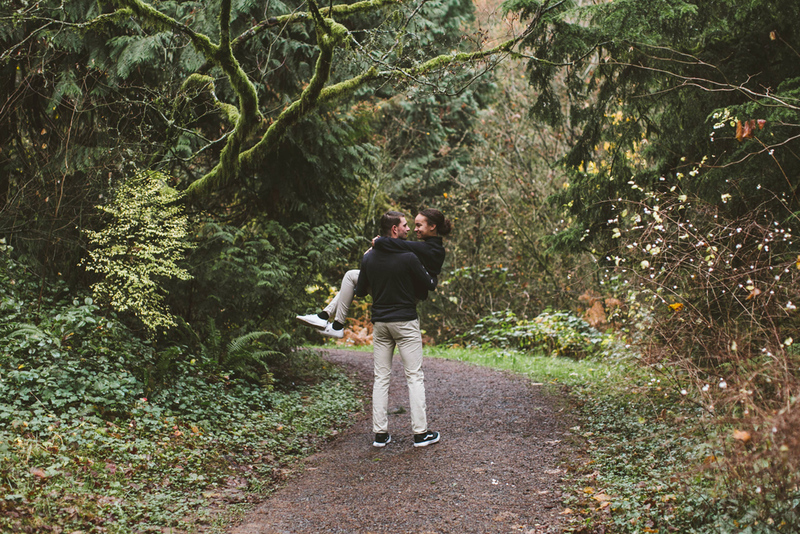 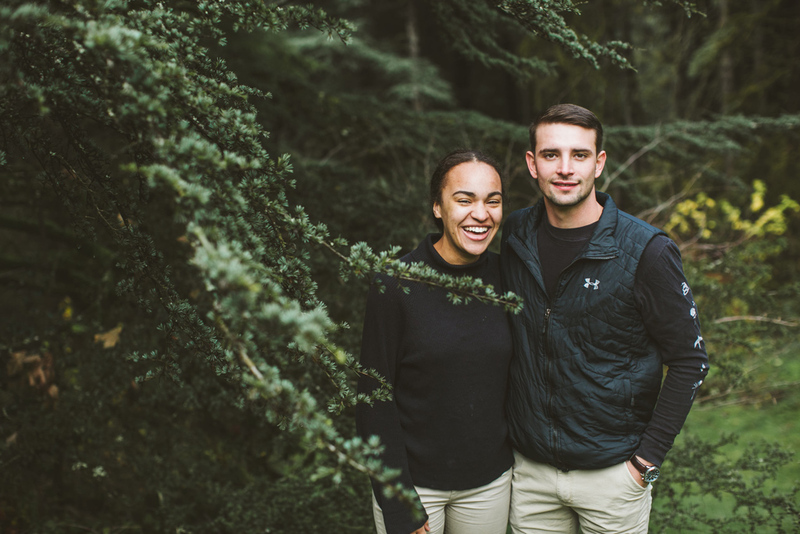 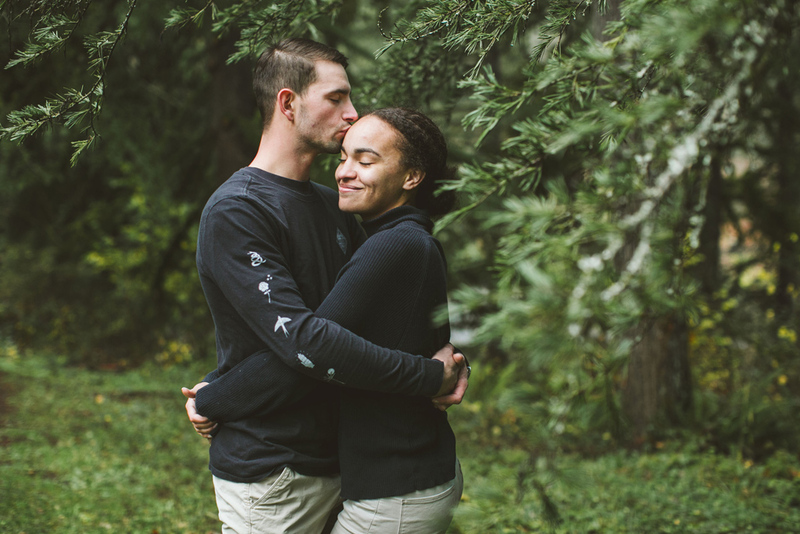 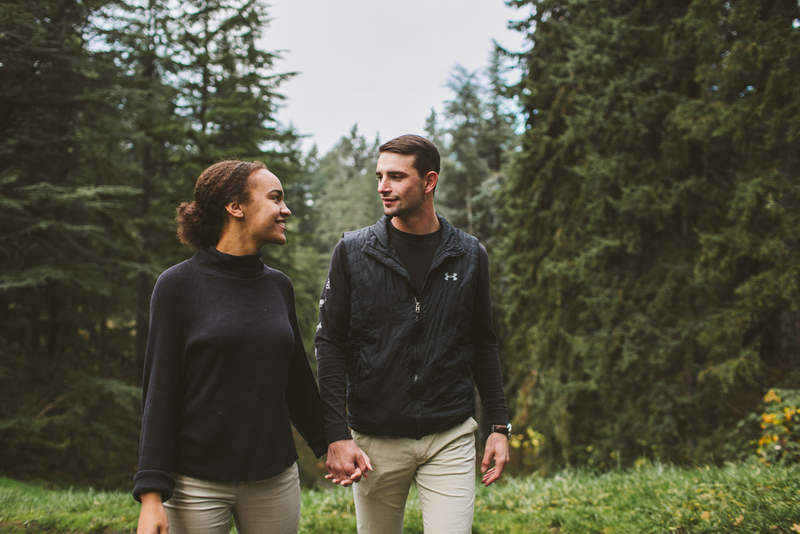 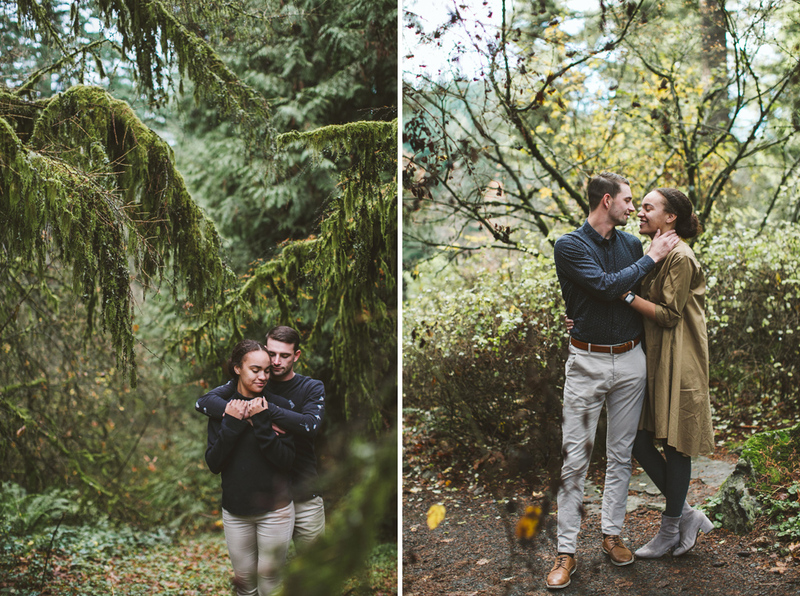 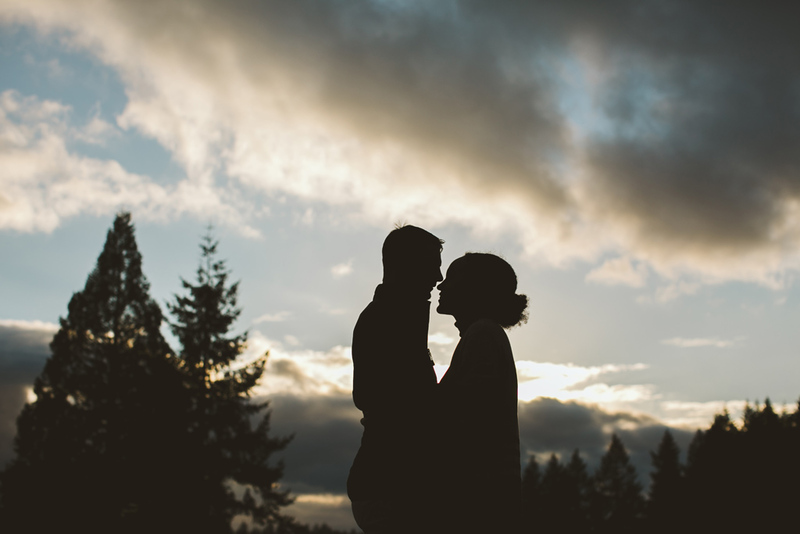 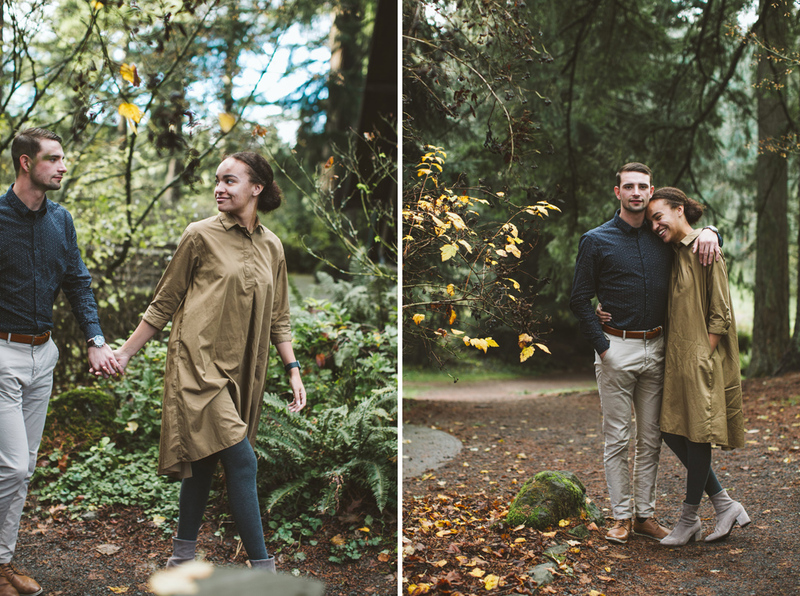 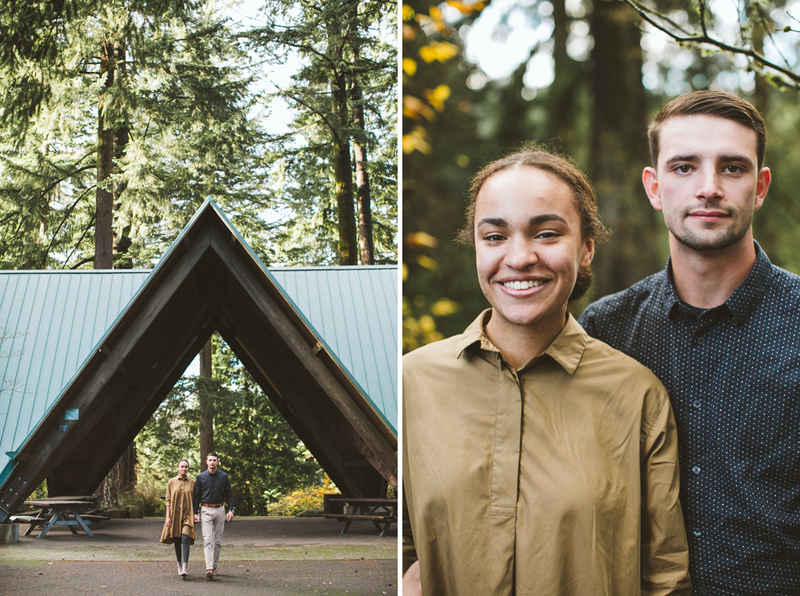 When I met up with Camille and William at Hoyt Arboretum for their engagement photos I instantly fell in love with their sense of humor and love for each other and the world. 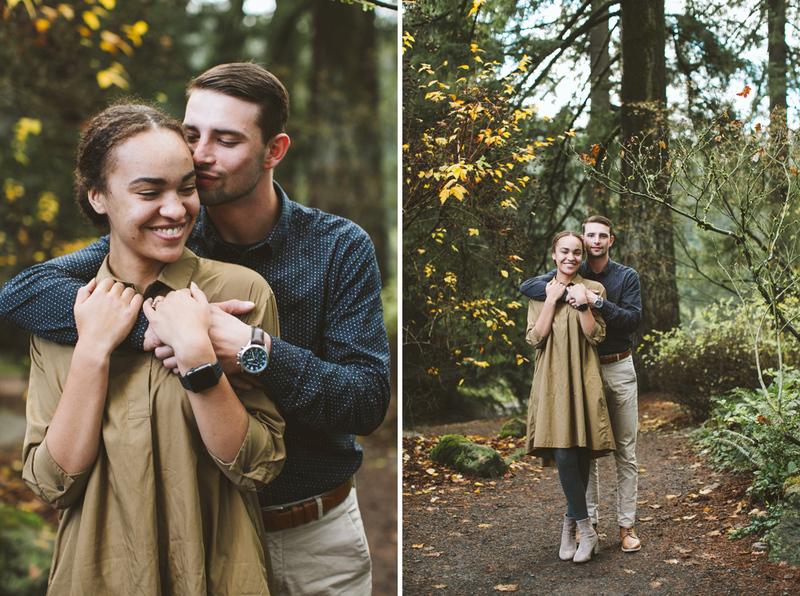 They’re such an incredible couple and I feel so lucky to have met them. 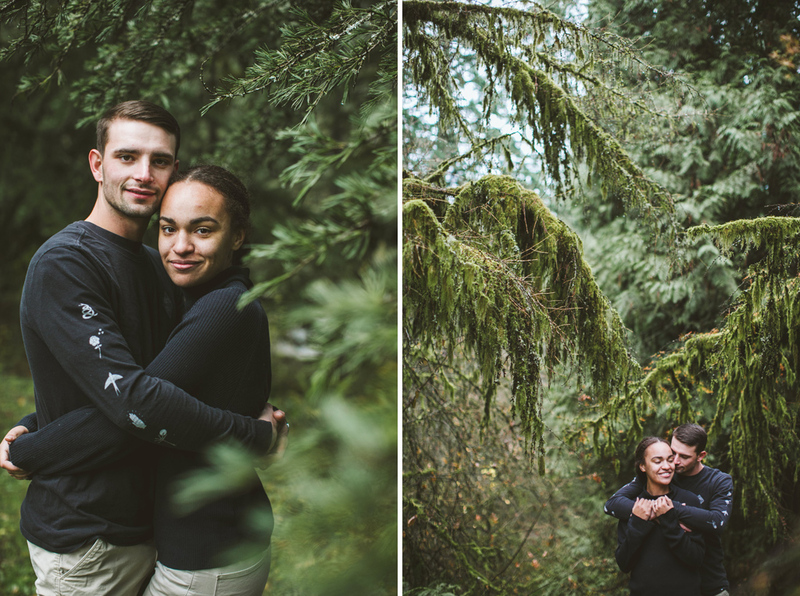 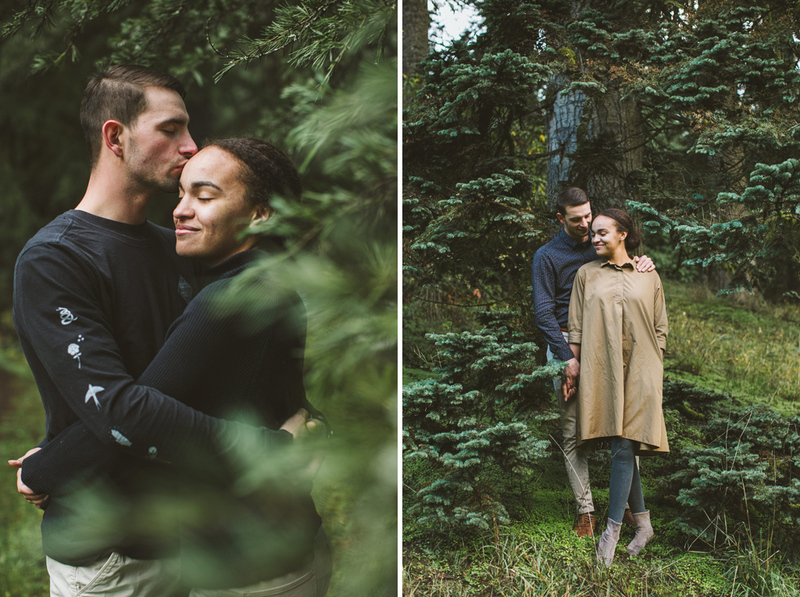 They braved and did a few outfit changes out in the woods – it was the best!.I love all the photos in the forest with the moss growing on the trees, and how green and woodsy their engagement photos are!